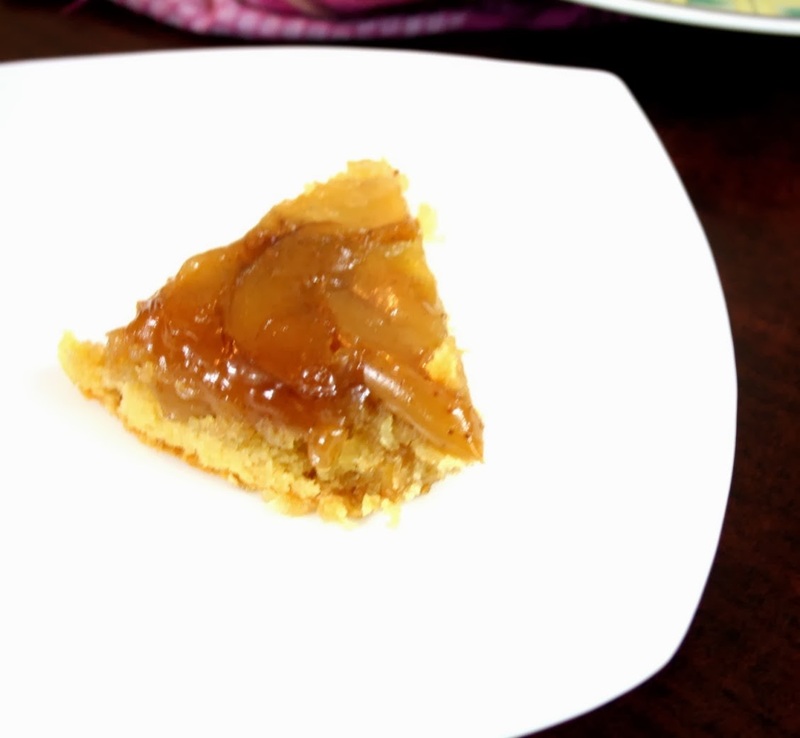 Last month of the year brings us the Bake a thon that I have been doing with a group of food bloggers. 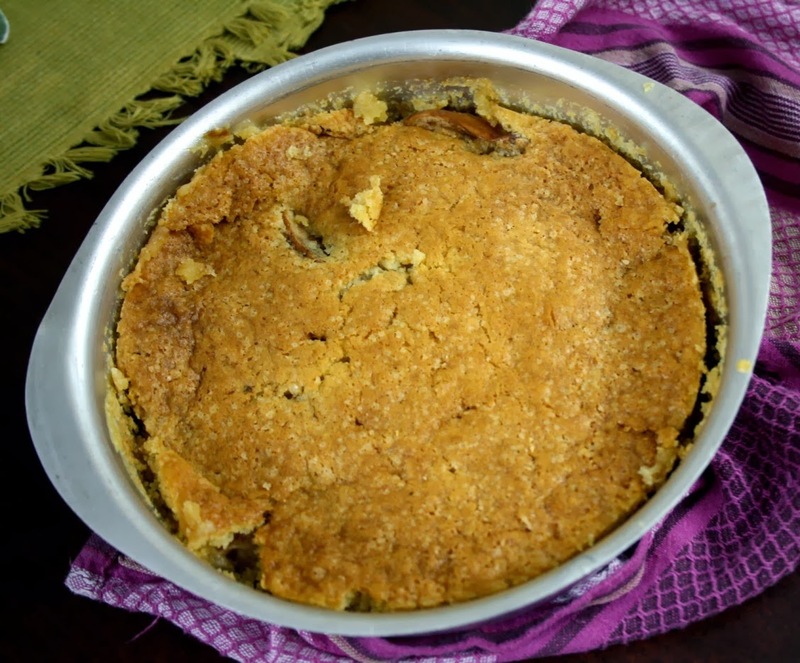 This was started by Champa, and we join a group who enthusiastically dish out baked ones from their ovens! This year we ended up discussing about this pretty late, though none of us wanted to miss it out. So here’s starting another edition of bake-a-thon, we will be doing three days per week on Mondays, Wednesdays and Fridays ending on Dec 30th. I hope you will join us on this merry ride. Knowing that I had to start on this, I got on baking this weekend. 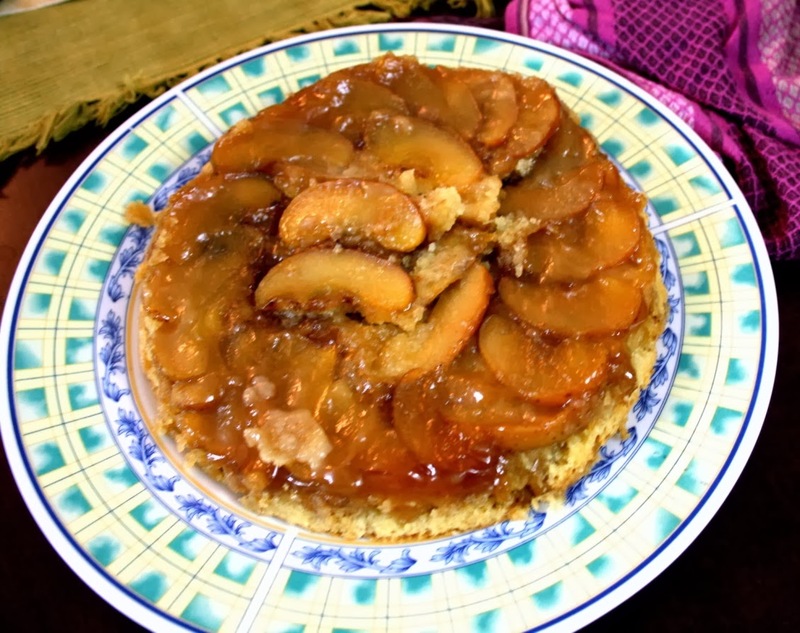 Starting the series is a delicious Apple Upside down cake. Everybody loved it, of course the boys didn’t even touch as it didn’t have chocolate in it. Anyways the cake quickly got over among the rest. This is surely something I might want to make again. Incidentally if you noticed I started with A and planning to do in the series, let’s see how far I can actually go trying to bake in alphabets. 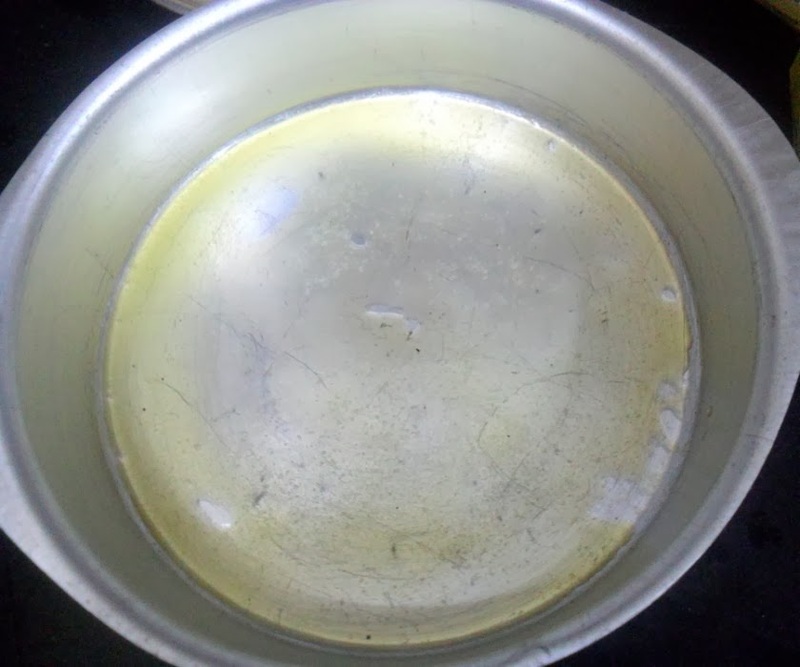 Melt butter in a cake tin that you are going to bake. 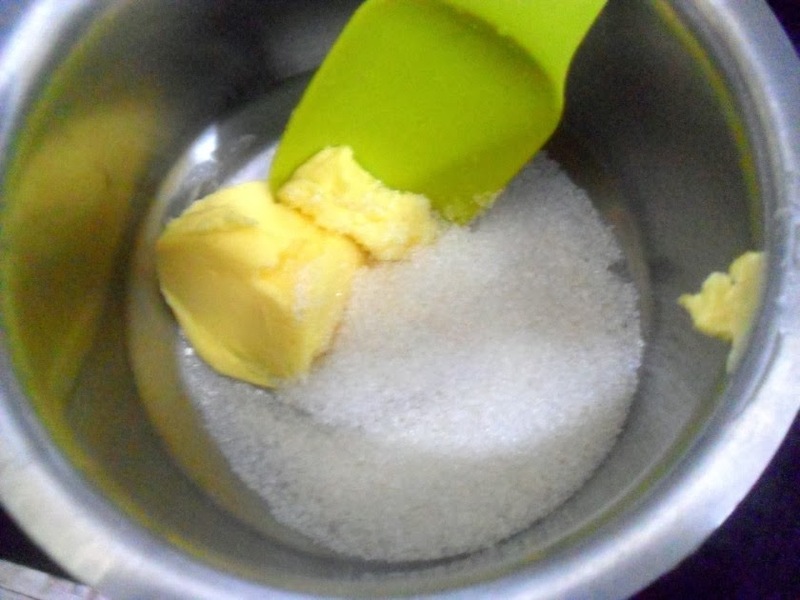 Sprinkle the brown sugar over the butter. 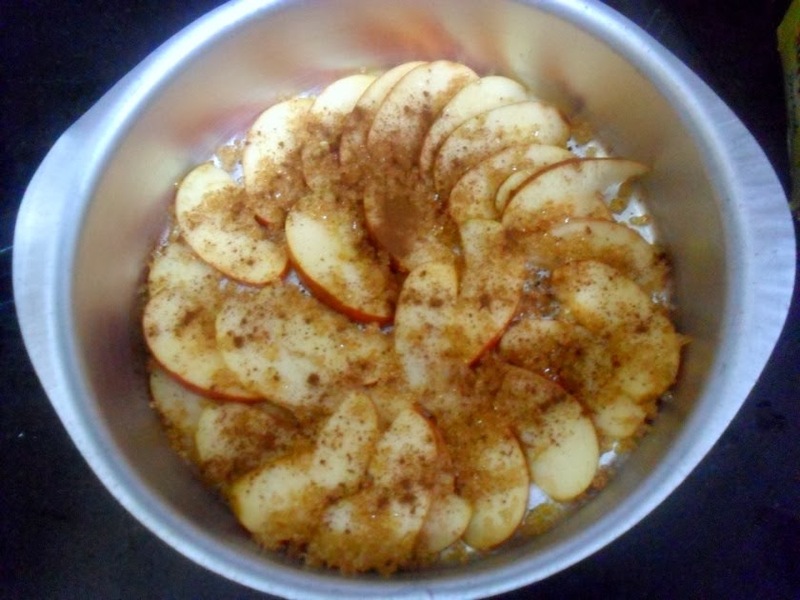 Arrange the apple slices over it in a layer, sprinkle with cinnamon powder. 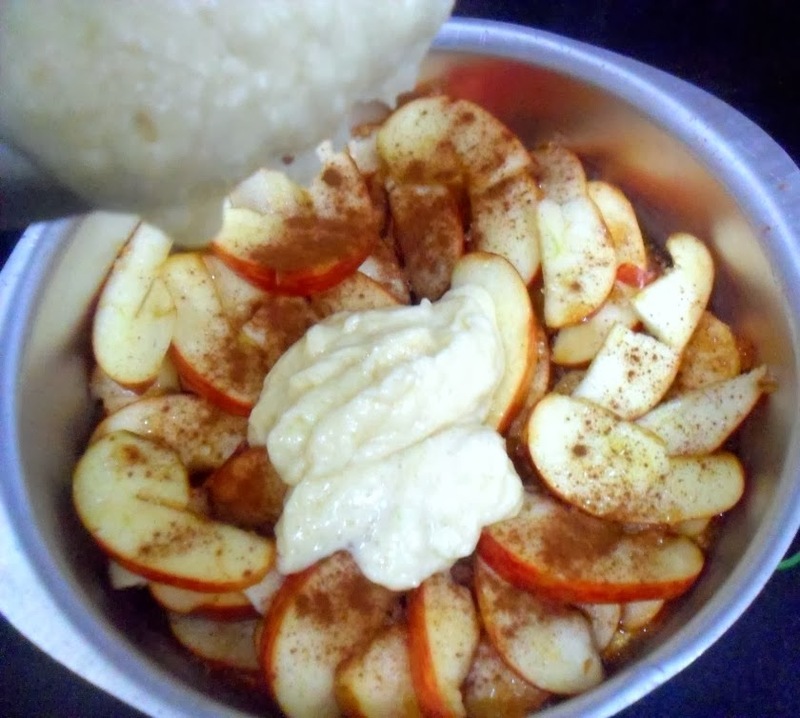 Put the remaining apples over it and sprinkle with brown sugar. 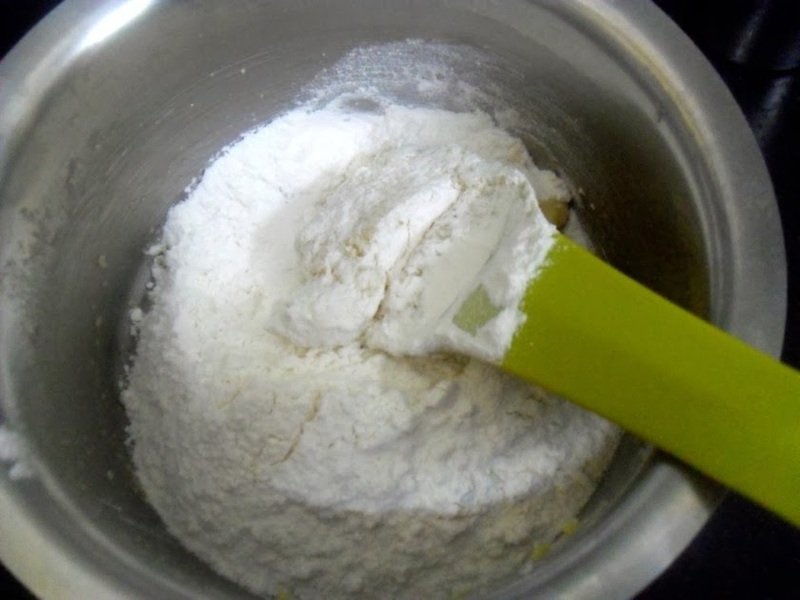 In a mixing bowl add flour, sugar, baking powder and salt. 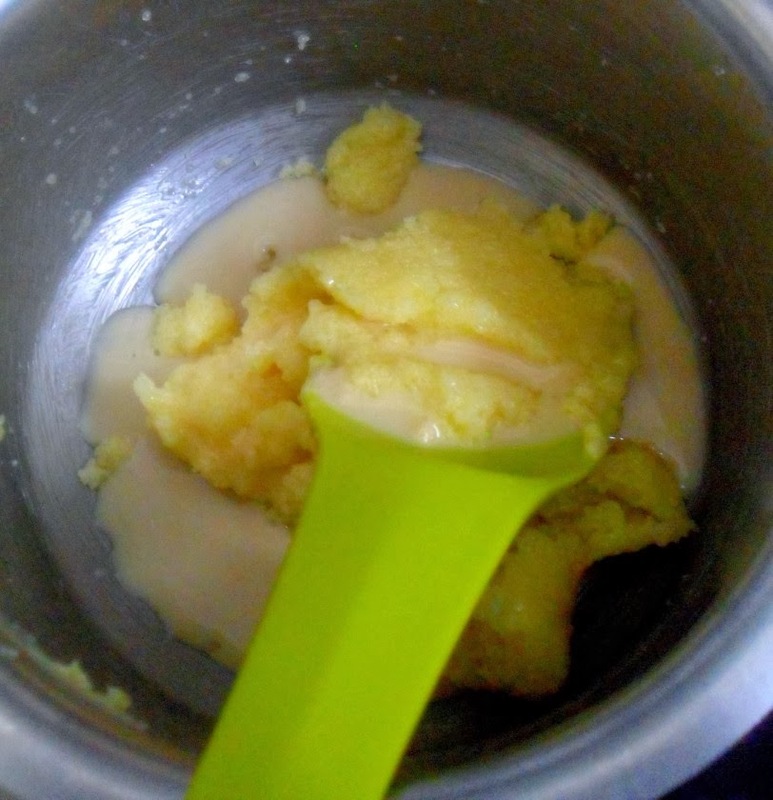 Add butter, milk and vanilla essence. 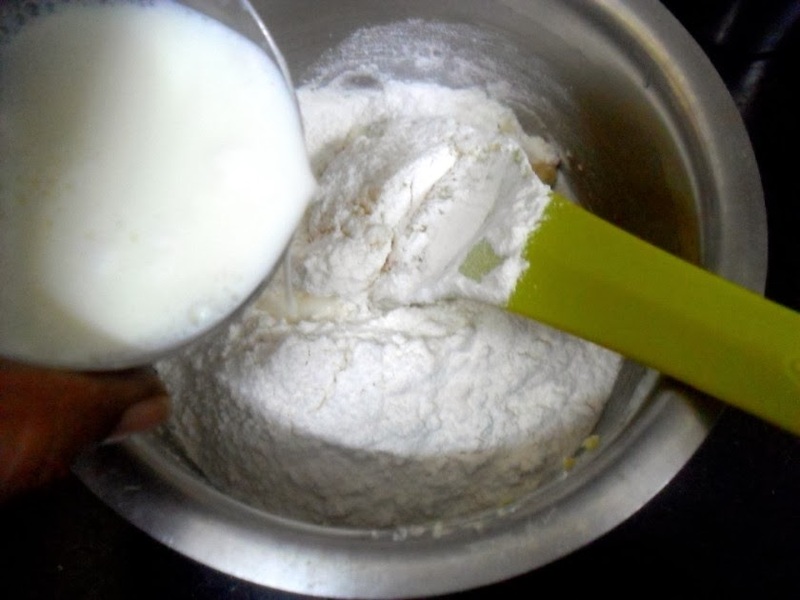 Now add the prepared egg replacer and mix everything well. Pour over apples in the pan. Check if a knife inserted comes out clean. 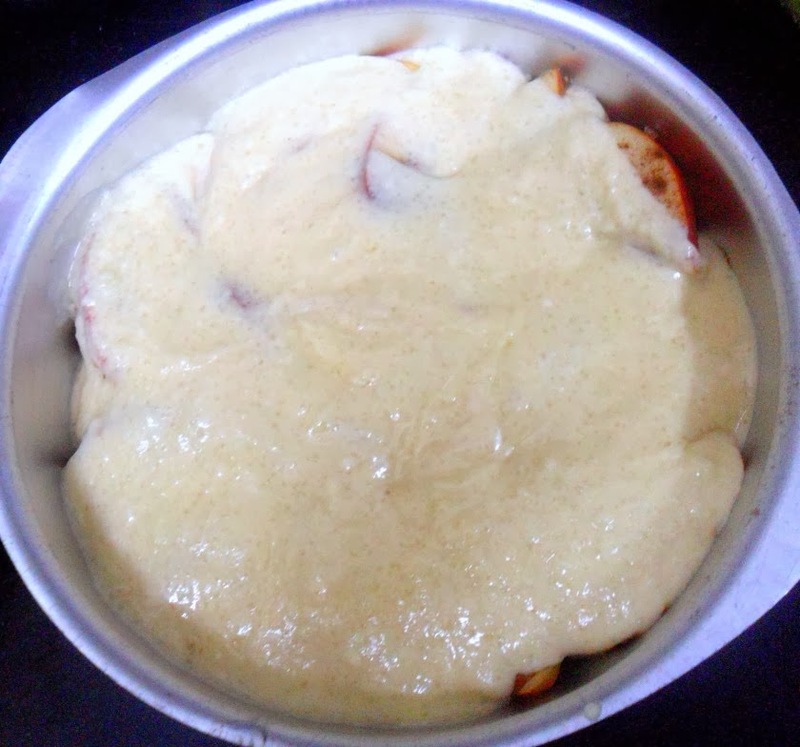 Turn the pan over into a serving dish and serve warm with ice cream. Apples need to be pared, I completely forgot to do that and it came in between every bite! 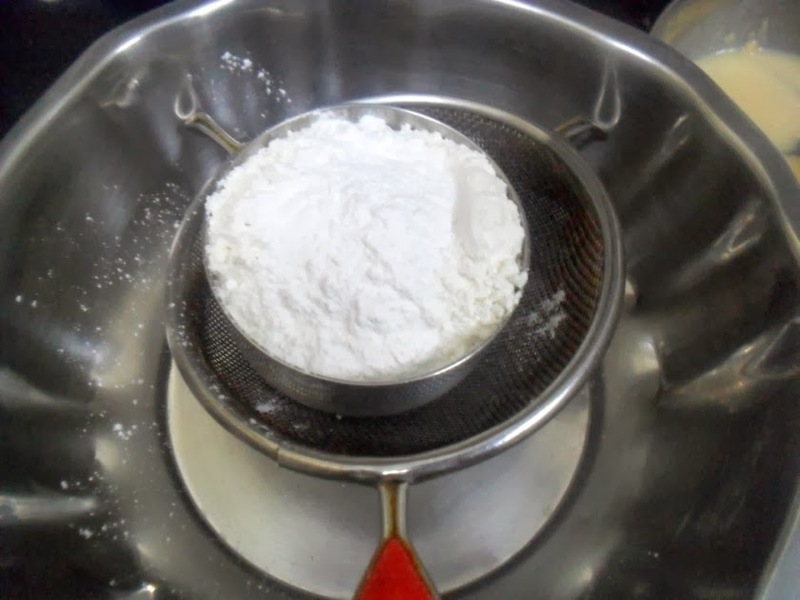 This cake takes a long time to get baked as there is lot of moisture in it. However once done, the aroma is so heavenly. I served warm, it would have been excellent along with ice cream. Though as such itself it was very nice. Valli, I want to join this. Can I just barge in :D? 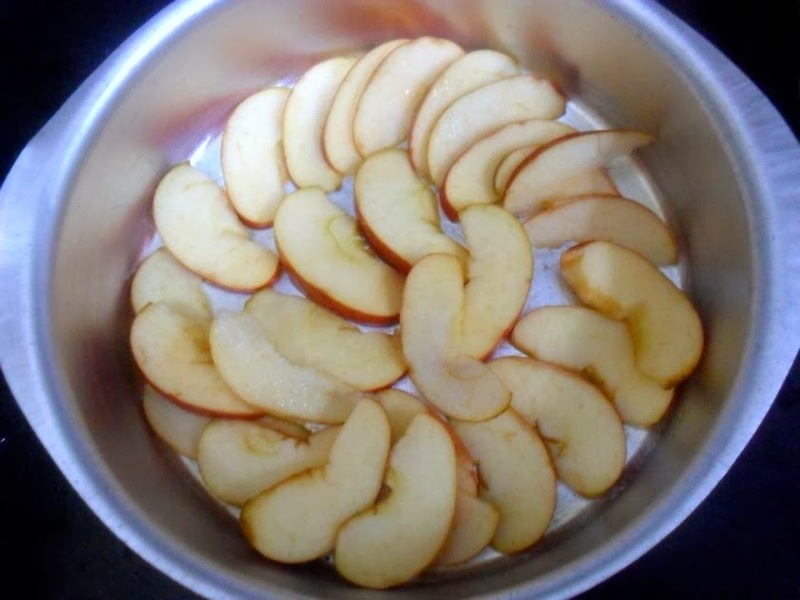 Hey valli I was planning on baking something with apples, I have got loads of apple, looks good, and thanks for starting the series again..
Valli, is it too late to join the fun. I would love to join you guys. Also is it limited to sweet or can savory bakes like breads and baked pastas allowed?